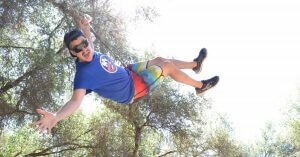 Rock-N-Water Christian Camps is located in Northern California and has a variety Christian retreats for adventurous adults. Each of the camp days below is specifically designed to include activities geared towards Christian men, women, and married couples looking to come to camp for an amazing opportunity to grow in their Christian faith. Looking to plan your own summer camp for a group of 6 or more adults? Check out our fully customizable California Christian camps & retreats. Camps & Retreats designed for Adults, Men, Women, and Married Couples. In addition to the amazing amounts of fun in the great outdoors that each of these adult summer retreats contain, each camp activity also seeks to help develop existing relationships as well as foster new friendships with fellow participants and camp counselors. Our staff will also provide you with the best camp food you have ever experienced. Over the years we’ve seen the great joy with which many summer adult chaperones lunge full speed into the adventures and challenges we’ve placed before them while at camp. While we won’t be having a dance party, these Christian retreats and adult camps are built for those young at heart adults who want to see and adventure in some beautiful places. After all, why should kids have all the fun? Rock-N-Water is a group of Christians who want to impact young people with the joy of God’s Living Word, so they might come to know Jesus and pass on God’s love with excitement. We focus our program on biblical principles, and we use the help of nature, friendship, challenge and camp experiences to develop character. Learn more about Rock-N-Water Christian Camps. We see the outdoors as a critically important tool for today’s Christian youth worker. At Rock-N-Water we spend every day and night in God’s enticing playground. The adventurous challenges and tranquil beauty God gave us in nature allow for a depth of ministry we know no other way of achieving. Christian led excursions in creation make for great opportunities to have fun, make new friendships, and grow spiritually. For more information on our Christian youth camps, or to check on availability and space please Contact Us. We’d love to answer any questions that you might have.